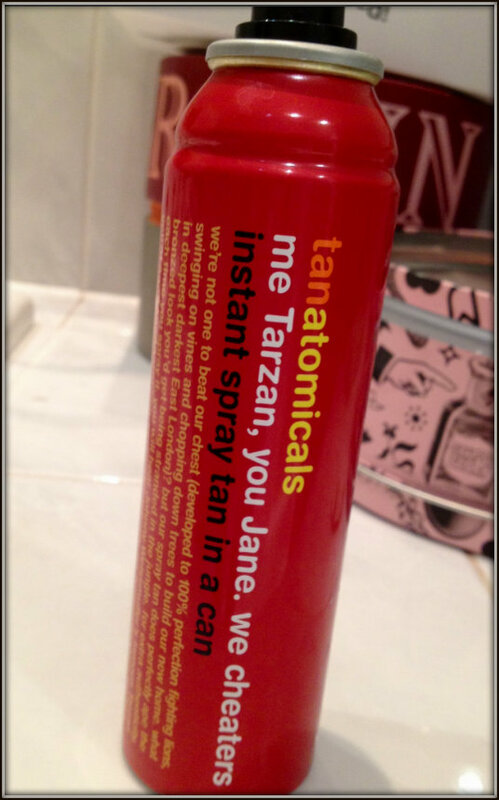 I'm rekindling my love for all things fake-tan related and first up is the Instant tanning spray from Tanatomicals by Anatomicals. ' 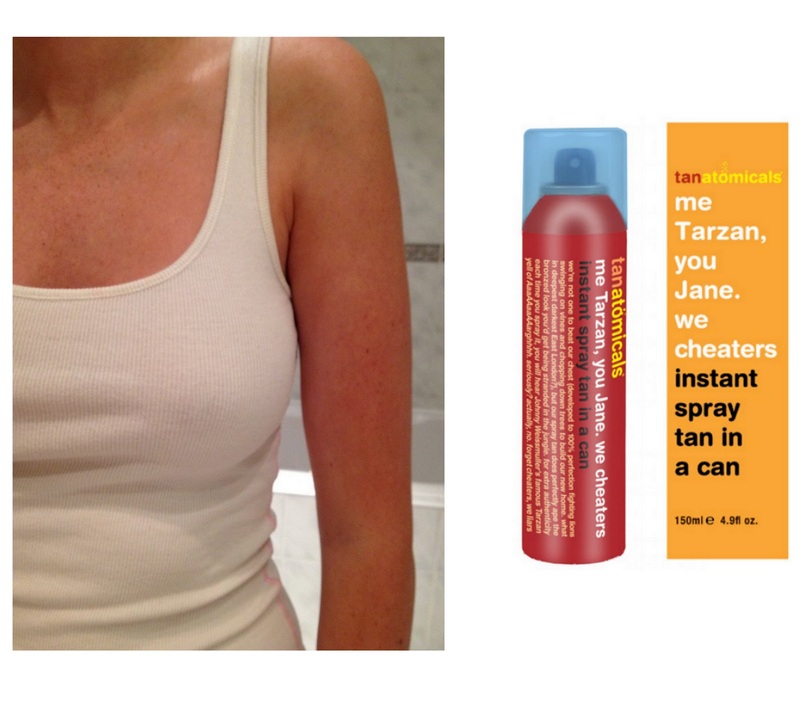 Me Tarzan - You Jane - We Cheaters Instant Spray Tan In A Can'. I've been using this every other night for the past week and am head over heels for it. It's an extremely a lightweight spray, as long as you shake it well and apply from a distance it provides a light mist and doesn't result in any stickiness or wetness after application, so you can get dressed or go to bed immediately after applying. You are immediately left with an all over instant tint of colour while the tan continues to develop for the next eight hours. 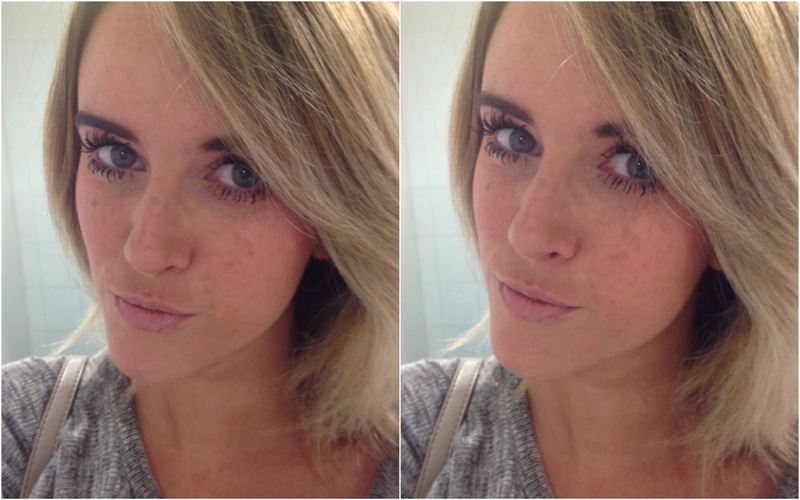 Skin is not left immediately brown, it really is more of a 'tint of colour' and after applying it leaves your skin looking perfected and even as opposed to tanned. 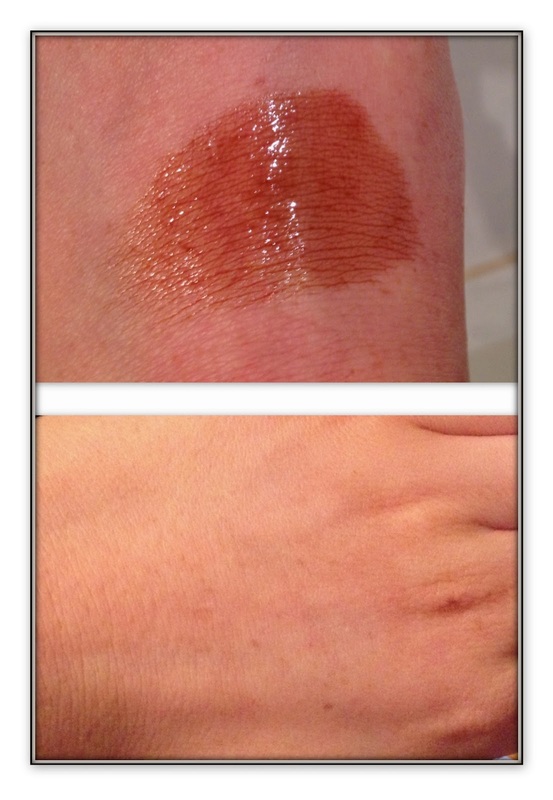 It contains inbuilt moisturisers for a natural and lasting medium tan and I have not found any streaking or patchiness. 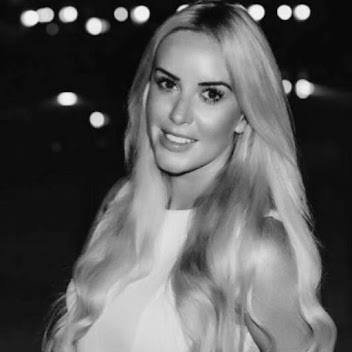 I have also been using on my face by applying a small amount directly to a fake-tan-mitt and applying to my face and neck after moisturising. It has the most divine pina colada smell (coconut and pineapple - yum) and genuinely does not even resemble the normal 'fake tan smell', it almost smells like a can of Batiste or a body spray as opposed to a fake tan.